Montreal’s industrial real estate market has become a landlords’ market for the first time in at least 20 years and its office sector is on its way to following suit, says Avi Krispine, managing director of CBRE Quebec. Maison Manuvie in Montreal, where the industrial real estate sector has become a “landlord’s market” and the office sector could soon follow suit, according to a CBRE report. On the industrial side, the vacancy rate has declined to 6.8 per cent in the first quarter of 2017, just above the record low of 6.7 per cent in 2014. But the situation is better today because a number of companies are expanding, versus one or two big players three years ago. “You feel it way more today than you would feel it in 2014 when it was all due to one big tenant,” Krispine says. In addition, the gap between asking rental rates and actual transactions has closed dramatically in Montreal’s 301.5-million-square-foot industrial sector. There is less and less land available for industrial development, Krispine says. In addition, the industrial sector is getting a boost from tech and e-commerce office clients leaving office spaces at $45 and $50 per square foot and moving into former industrial properties converted into new office space at between $25 and $30 per square foot. Montreal’s office sector is becoming a landlords’ market thanks to the city’s improving economy that added more than 70,000 net jobs in 2016, Krispine says. As a result, there was one million square feet of positive net absorption of office space in the first quarter of 2017, the best start of a calendar year for tenant demand in Montreal since the late 1990s. While tenants used to have a number of options due to high vacancy and large amounts of office space available for sublease, the improving economy has tipped the balance back toward landlords. 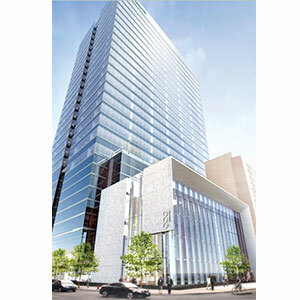 In addition, the amount of sublease office space in the central business district has fallen by 60 per cent in the last year to a five-year low, an indication companies are performing strongly and are confident in their ability to grow, Krispine says. According to a CBRE first-quarter 2017 office market report titled “Never-ending clear sky,” vacancy rates in the downtown core declined from 10.6 in the fourth quarter of 2016 to 9.8 per cent in the first quarter of this year, while the net asking rent for class-A properties increased from $21.21 to $22.32 per square foot and tenant inducements declined. As a result, landlords can ask for more and tenants can afford to pay more before real estate becomes their No. 1 expense ahead of labour. The outlook is bright as well due to the more than $20 billion of infrastructure investments still to be delivered in the city, he says. Unlike a few years ago, when Montreal was awash in allegations of political corruption, “companies have become ambassadors of the city,” Krispine says. “People understand that there is so much money (being) invested in infrastructure, there are new companies coming into the city, the economy is rolling and people have finally gotten back to being proud of their city versus a few years ago.